It takes know-how to create a professional looking clown face. Contrary to popular belief a proper clown face is not worn as a mask. It should be designed to compliment the natural features in the face in order to enhance the clown's expressions. In this book Jim Roberts, a.k.a. 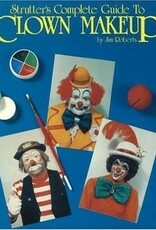 Strutter the Clown, describes the different types of clown faces and how you can design a unique face of your own. 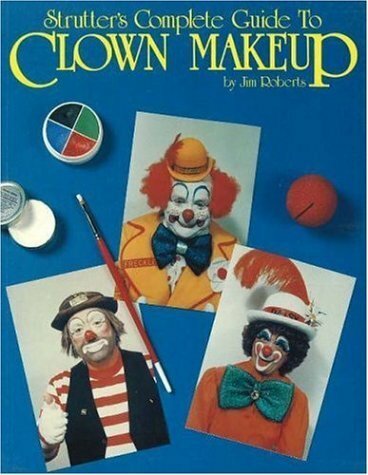 He provides detailed step-by-step directions for applying makeup to create the three basic clown face types: Whiteface, Auguste, and Tramp. Included are tips on powdering, applying rubber and putty noses, how to handle eyeglasses, handling common makeup problems, and proper makeup selection and removal. Includes full-color, close-up photos which offer step-by-step directions for applying makeup.